When I first lived in Guiyang in 2003 I had a terrible time finding coffee, and I really need coffee. Even instant coffee was rare. Yet, there were massive tea shops, with several rooms filled with tea. I was so frustrated that I used to walk into the the tea shops alone to look around. Shop owners would immediately start showing me the most expensive teas in the store, thinking that they had a rich foreigner and no Chinese interlocutor. Then I would speak one of the ten or so sentences that I knew, “You meiyou kafei?” (Do you have any coffee?). When they answered in the negative I just said bye bye and would walk out. Finding good coffee has been a challenge, but every year things get better. I recently found Bekaduo Coffee and just love this fresh roast. I have a cool Italian Expresso pot and the fresh, locally roasted coffee is noticeably better than anything I’ve had in China over the last 14 years. The coffee pot is put on an electric hot plate. 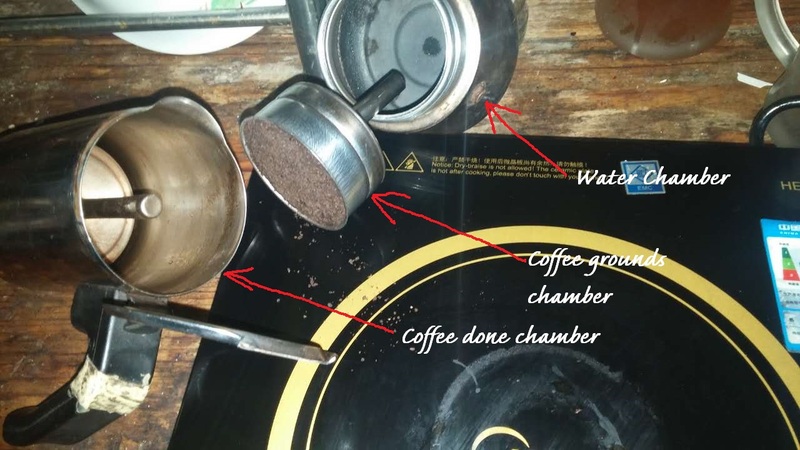 At boiling temperature water in the bottom chamber is forced up through the middle chamber that holds the coffee. Coffee is collected in the top chamber. It is very fast and convenient. Ideal coffee brews at below the boiling temperature, and there is a lot to learn. It is hoped that in the future we can do some kind of event to find out more about how to make the best coffee. This coffee shop is more than just a coffee shop. This coffee company sells coffee machines, coffee beans, and has a good ambiance for just sitting and talking. This location is near Pantaogong, NE from the intersection of Dusi Lu and Baoshan Beilu. Walk down the hill to the east from the intersection to the bottom and turn left (N).. The sign is at the entrance to the shop, telling it’s history. Bekaduo Coffee Shop is dedicated to promoting the coffee culture in all it’s forms. In addition to selling coffee, they have cheesecake, wild fruit syrups, as well as pizza. This is a service area where people can watch the process. 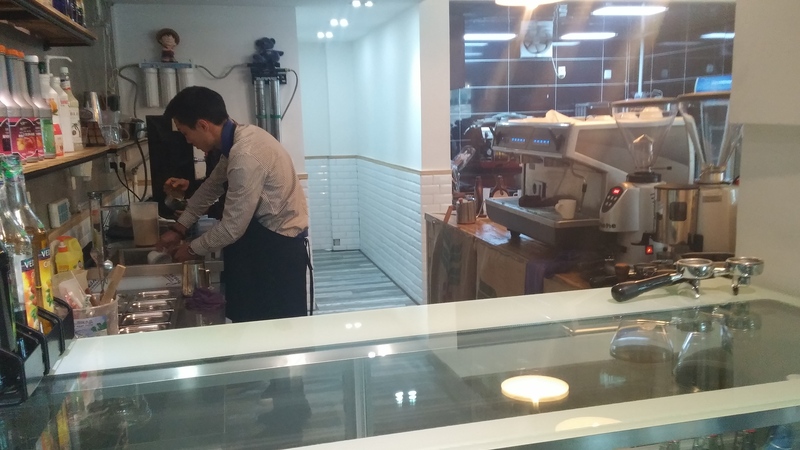 The facility is designed as a coffee training area. Mr. Yin trains coffee shop owners in how to get in business and do a good job. 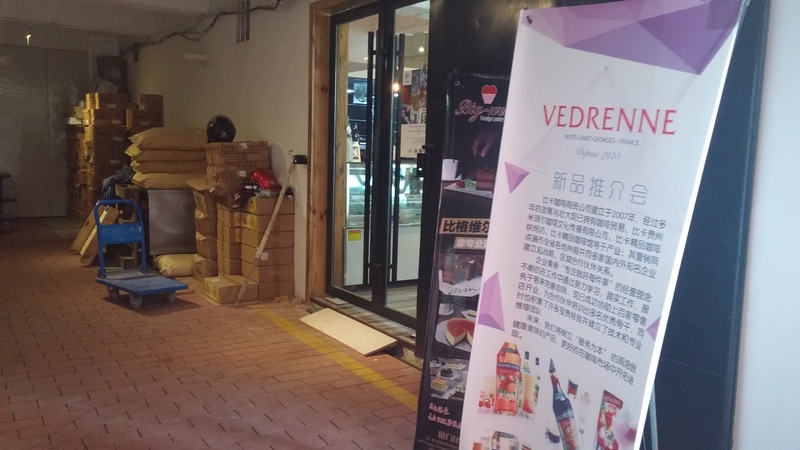 Bekaduo delivers coffee to locations all over Guizhou Province as well as other cities outside of Guizhou.